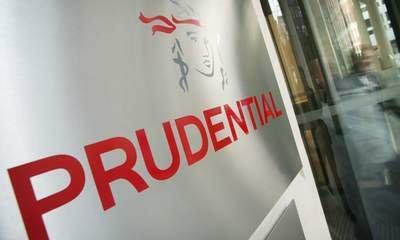 A high-flying fund manager at M&G Investments is the mystery recipient of a £17.5m pay deal disclosed this week by Prudential (HKSE: 2378.HK - news) , the insurance giant. Sky News can reveal that Richard Woolnough, who manages M&G's £16bn Optimal Income Fund, was awarded the blockbuster pay package for his performance last year. Mr Woolnough, who joined M&G a decade ago after stints at Lloyds Merchant Bank, the Italian insurer Assicurazioni Generali, and SG Warburg, is one of the City's top money managers. In 1995, he became a fund manager at Old Mutual (Other OTC: ODMTY - news) , where he also spent almost ten years. He also manages M&G's Corporate Bond Fund and its Strategic Bond Fund, meaning that he is at the helm of three of the company's flagship fixed interest funds. Under disclosure rules for public companies, Prudential, which owns M&G, has to disclose by name the remuneration packages awarded to board members. Mr Woolnough does not sit on the board, but is one of Prudential's five highest-paid executives, meaning that his pay is disclosed anonymously within a band of £17.4m-£17.5m. Fund management industry sources confirmed on Thursday that he was the recipient of the £17.5m package, the vast majority of which they said was in Prudential shares and deferred for a period of several years. The deal is likely to make Mr Woolnough one of the City's best-paid executives for 2013, with the major banks having reined in such substantial awards in the face of overwhelming political and public pressure. "There is no capital at risk here, but there is a need to keep star employees such as [Mr] Woolnough," an insider said. The size of his remuneration package underlines the extent to which institutions believe there is a requirement to incentivise top fund managers amid competition from the rapid growth of the hedge fund industry - in which much bigger pay deals are common - during the last decade. Last year's defection from Invesco Perpetual by Neil Woodford, arguably the UK's best-known fund manager, and the subsequent outflow of billions of pounds of the assets he managed underlined the importance of these 'marquee' fund managers, City sources said. Mr Woolnough's Optimal Income Fund launched in 2006 to provide investors with an alternative to traditional corporate bond funds. It has a mandate to hold 50% of its assets in bonds, but is more flexible than many competitors and has almost trebled during the last two-and-a-half years. That rapid growth is partly explained by investors' search for 'safe' income when interest rates have been at historic lows. Mr Woolnough's pay deal meant that he received almost double the £8.7m package awarded to Tidjane Thiam, Prudential's group chief executive, after a year in which the insurer's share price soared after an impressive performance, particularly at its operations in Asia. The chief executive of Prudential's US arm also received a bigger pay deal than Mr Thiam. Prudential and M&G both declined to comment.